Decided to go touring with your folding bike, but don't have enough gears for the hills? 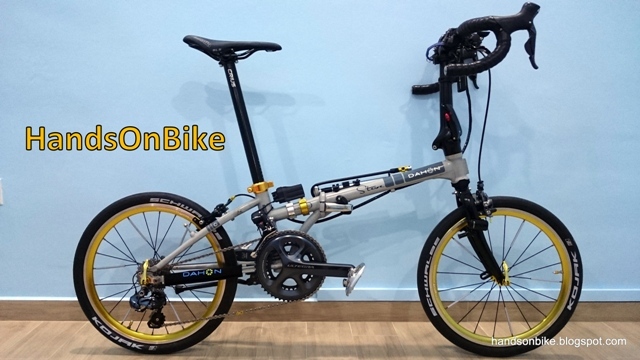 Want to pedal up Mount Faber or the Kent Ridge slopes with your folding bike without stopping, but don't have powerful legs? Prefer to spin up hills instead of mashing the gears? 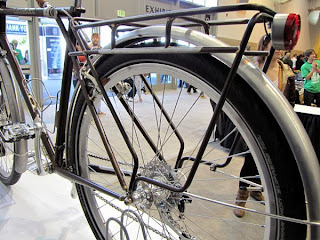 Now you can do all these, by mounting a front derailleur on your folding bike! To be more specific, a Dahon folding bike. Dahon does have a few folding bikes with more than 10 speeds, such as the Vitesse P18 (2x9 speeds), MuP24/Speed TR (3x8 speeds), Speed Pro TT (3x9 speeds) or the top of the range Vector X20 (2x10 speeds). Aftermarket FD Adaptors for Dahon bikes. Adaptor for Speed/Vitesse frames on the left, adaptor for Mu frames on the right. If you have bought one of these bikes, good for you! These bikes come with either double chainrings or a 3 speed internal hub to offer you lots of gears to suit all terrains. In this case, you don't need much modifications to go touring or climb slopes, since there are already plenty of speeds available. However, like many of us, if you already own a Dahon folding bike with only 1 chainring upfront, it can be rather tough to get a low enough gearing to go up hills, yet retain a high gearing for downslope pedaling. 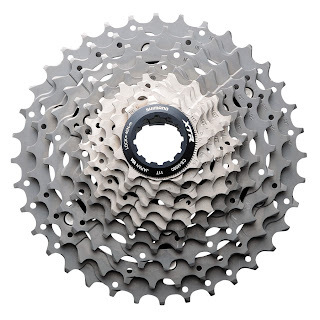 Technically, it is possible to get a fairly large gear range with only 10 speeds (55T chainring with 11-36T cassette, giving a gear range of 31 to 100 gear inches). 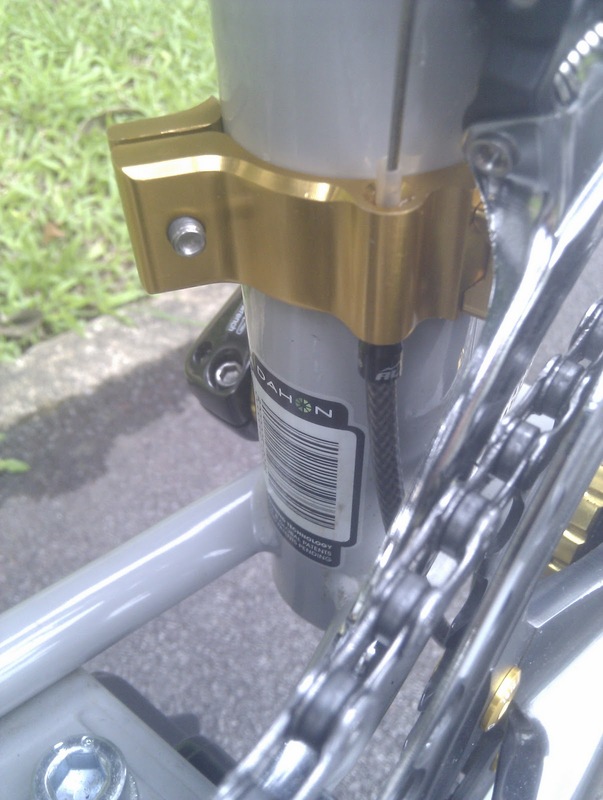 This is the setup found on the Dahon Vector X10, with a megarange 11-36T cassette. However, by dividing the gear range of 31 to 100 among only 10 gears, this means that the jumps between gears can be very big! You will likely find yourself spinning out at a certain gear, yet the next higher gear slows your cadence way too much. Finding the right gear is especially important for long road trips, where maintaining a good, comfortable cadence is important. Not the cassette found on the Vector X10, but this is a 11-36T cassette. Note the big jump between gears! Therefore, besides looking at the gear range, the divisions between the gears are important too! To get smaller jumps between gears, and yet have a wide gear range, the easiest way is to have more gears! And this is where having multiple chainrings can be very useful. Prior to this upgrade, my Boardwalk TT has 9 speeds, with a gear range of 38 to 88 gear inches. (53T chainring with 12-28 cassette). This gear range is relatively small, with a spread of only 50 gear inches, compared to the 69 offered by the Vector X10. However, this gear range suits me fine as I like closely spaced gears to get the perfect cadence. However, after encountering the Mount Faber and Kent Ridge slopes, I found that even the lowest gear of 38 gear inches is not low enough for me! I prefer to spin the cranks instead of standing up and mashing the pedals. That was when I decided to get a front derailleur, so that I can switch between the 39T and 53T of my Shimano 105 crankset. I know that it is possible to have double chainrings without a front derailleur, and change chainrings manually! However I find this quite impractical as it means that I will have to stop and change before a hill, and then change back before I go down the slope. It would be much easier to be able to change it while on the go! Got the LitePro front derailleur (FD) adaptor, so that I can fix my own FD! 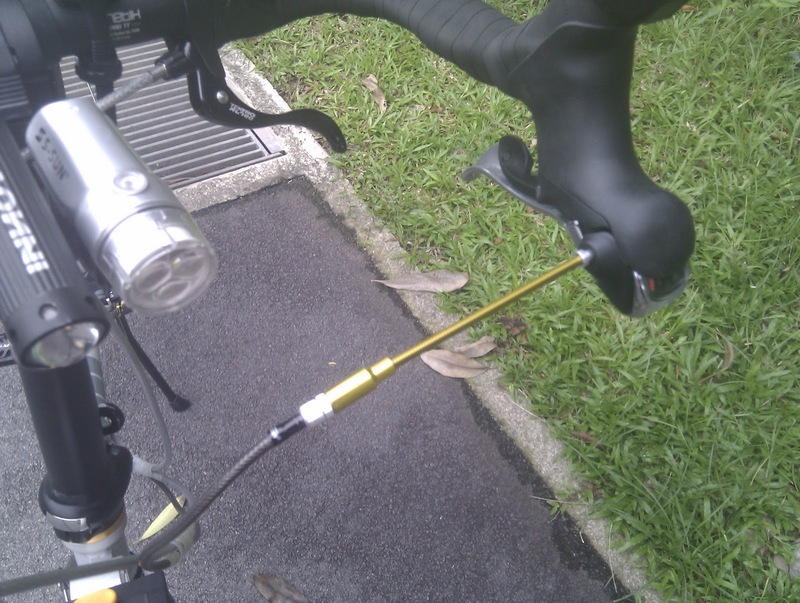 Cyclopedia brings in LitePro stuff to Singapore, so it will be possible to check with them regarding the availability of the LitePro front derailleur adaptors. An adaptor is needed because the seat tube outer diameter for Dahon bikes are 40 or 41mm, much larger that the 34.9mm offered by the largest clamp on FD. This slot allows you to adjust your FD position forward or backward to suit the curvature of your chainring. This slot allows the FD to be moved higher or lower. Of course, you can mount the entire adaptor higher or lower on the seat tube too. Installing the adaptor was not easy at all! On a scale of 1 to 10, with 10 being the most difficult, I would rate this as a 9. Mounting the adaptor is not difficult, but to mount it correctly and tune the FD correctly are the difficult parts! It took me many hours to get it working satisfactorily, as installing the FD is new to me too, thus I was learning as I went along! I initially tried to mount the LitePro FD (rated for 9 speeds) onto the adaptor, but quickly found that it would not be compatible with my chain (Dura-Ace 10 speed). Because the 10 speed chain is narrower that a 9 speed chain, when the FD cage moves it will not push the chain sufficiently to switch between the two chainrings. Luckily I had bought a Shimano 105 5700 Front Derailleur, which was what I had planned to use in the first place. The brazed on version is needed to mount the FD onto the LitePro FD adaptor. Mounting the FD correctly with respect to the chainring is important, in order to ensure good shifting performance. Shall not go into the technical stuff here. Tuning the FD is the difficult and tricky part. Even when the low limit screw of the FD is unscrewed, during the low-low combination (39T chainring with 28T sprocket), the chain will rub the inside of the FD cage. This is largely due the the FD adaptor itself restricting the lower limit of the FD. Luckily, this is not a serious problem as the chain noise is minimal and there seems to be very little drag resulting from the rubbing of the chain. 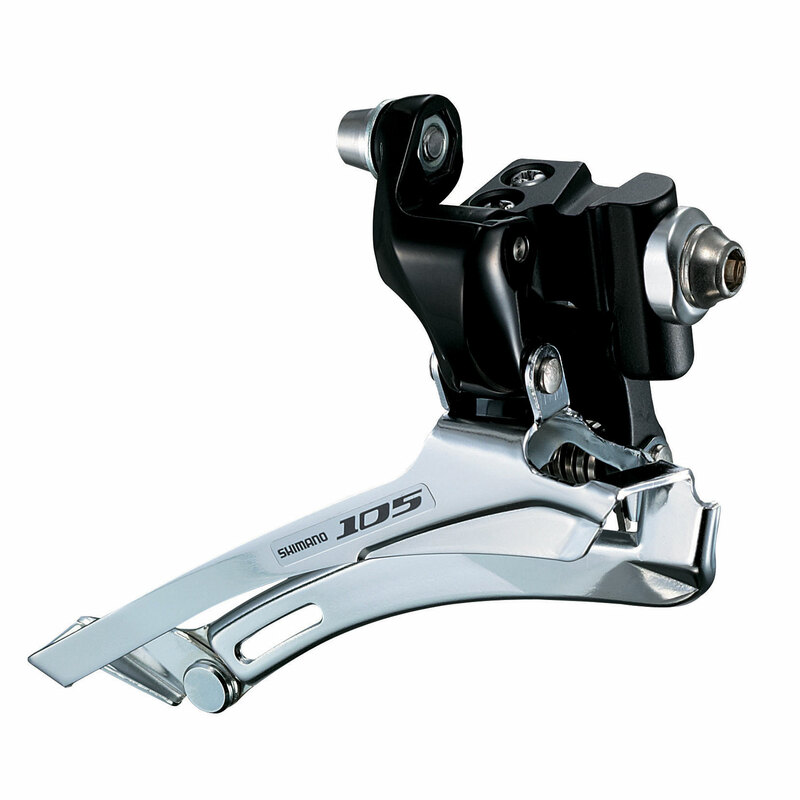 Pictures of the mounted LitePro FD adaptor and the Shimano 105 Front Derailleur shown below! Gold adaptor goes well with my black crankset. Black Shimano 105 FD fits my gold LitePro adaptor perfectly! Note how I clamped the end of the shifter cable to another bolt to prevent it from sticking out. 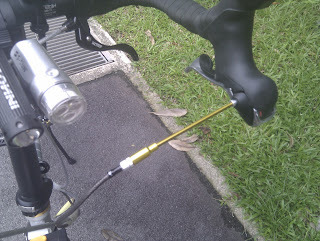 I used a LitePro Flexible V-Brake noodle at the shifter end, to enable me to adjust the cable tension. LitePro V-Brake noodles, can be obtained from Cyclopedia. Cable routing is tricky. Have to route the cable housing under the bottom bracket, and up towards the FD adaptor. With the front derailleur, I don't need the bashguard to prevent chain drop anymore. This allows a better view of the 105 crankset! Gold and black themed Boardwalk TT! Now with 18 speeds. With the double chainrings, now my gear range is increased to 28 to 88 gear inches. Perhaps it does not sound like much, compared to the previous low gear of 38 gear inches. But this 10 gear inches can be very significant, and will determine whether you are able to pedal up the steep hills, or have to stop and push! Had a short ride to test the shifting of the front derailleur. It is not perfect, but it will do, since it will not be shifted very often anyway. Once again, it has been a very interesting upgrade for me, and I have learnt a lot about the installation of a front derailleur on a Dahon folding bike! I'm currently using the Wheelsport wheelset. Unfortunately the PZ Racing wheels are no longer available, you can only get it second hand if anyone sells it. You can check out MyBikeShop if you are interested in the Wheelsport wheels or Kinetix wheels. Hey steve, any ideas what shimano crankset that can go with my Dahon speed? Was thinking of upgrading my stock set. practically all Shimano cranksets can be used. although you should use a road crankset as the chainring on MTB cranksets are too small and give you too low a gear ratio. Triple cranksets will not fit, get a road double. if not sure, just check with me first. 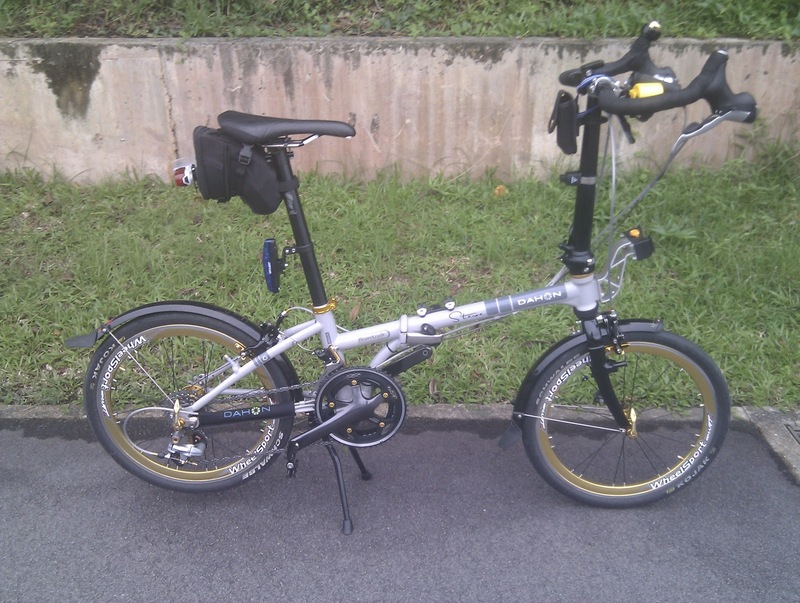 now to the point, i am getting ready to upgrade a dahon ios d9, i used this bike for bike touring and definitely need more than the 9 gears it comes with. i was thinking of a 3 ring crankset to emulate a similar or close gear range from my full size touring bike, but then i came across this post where you mention the triple crankset will not fit. could you provide me some insights on your experience or why wouldn't it fit? this bike comes with a 42T stock chainring, and i am i really do not need much bigger ring since touring is mostly a steady pace and i rather rest on my downhills. However, i would really get some improvement on my lower gears. i have an 11 to 32 9 speed cassette and i was loving the idea of adding a 24-32-44 crankset..
Any recommendation is very welcomed!! A front triple is not recommended due to various reasons. 1) Short chain stay length means serious cross chaining for a triple setup. 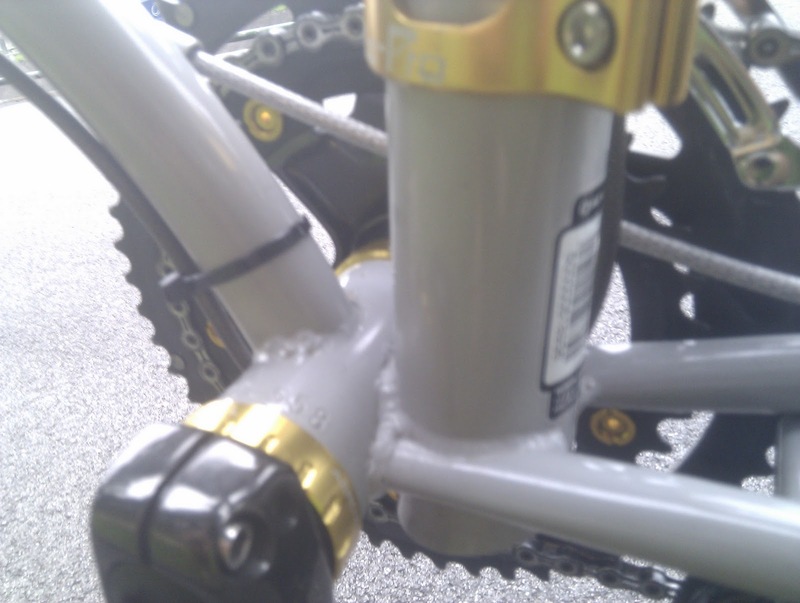 2) Chainline is not suitable for triple setup. 3) Fd unable to shift properly to front low gear due to Chainline issue and also fd adaptor interference. A front double will give you sufficiently low gearing, no need for a triple. A double mtb crankset with a wide range cassette will give you all the range that you need. I'm in the midst of deciding between SRAM and Shimano. I've seen the SRAM X9 and Shimano ultegra set but i don't think for ultegra the shifters would fit. Probably need to use the XT series as i think the trigger shifters suits my stock handle. I'm looking at the 2x10 setup and hopes to jump from currently 7 to 10speed. The SRAM FD/RD looks so stable and the crank powerglide features seems nice. Perhaps i can even mix the 2 groupset. I'm still undecided of whether should do a Shimano or SRAM setup of mixed both. Any pointers? take note that the Shimano XT and SRAM X9 are MTB components. If you get the road components, such as Ultegra, you will need flatbar shifters instead of the road shifters.Example would be R770 flat bar shifter from Shimano. Thanks for the pointers. Yup i probably will settle for the road components and the R770 is just what shifters i'm looking at. Prior you upgrade the FD, do you experience some "grinding" feeling when using the smallest sprocket (gear 9). This is similar to cross-chain effect as the short chain-length enhance this effect. There is no cross chain prior to installing the FD, as the smaller inner chainring is not used. you might want to check the chain line. I installed a Shimano triple crankset on my old Dahon Vitesse (2005 version), and recall removing the spacers on the crank's granny chainring mounting bolts to make it fit on the Vitesse. I don't use a front deraileur, but have a very widely spaced chainring set that I manually shift (by stopping). I view my front chain ring setup more like a single speed crankset with an ultra-quick-change chainring, that I set once -or twice- to fit the type of riding I plan to do that day (ultra-hilly, mildly hilly, or flat city riding). Where you bought LifePro FD Adaptors? May I know where to buy litepro fd adaptor in singapore. Thx. As indicated above, try thecyclopedia.com or Taobao.com. Don't think the bike shops here carry them. It may not be possible to fix an FD onto the Eco C6 frame, due to the curved frame shape. Will only know by trying. would you know which litepro adaptor supports 34.9/35mm? If the external part of your seat tube measures 34.9mm, you don't need an adaptor. Just get the clamp on type of front derailleur, which comes in 3 clamp sizes. hi steve where do you buy your stuff from? I can't seem to contact the guys at cyclopedia anymore. think you have to get stuff from Taobao now. can use 65daigou as an agent to bring in the stuff. 3. What 10-Speed Chain brands would you suggest? Thanks and sorry for the long query. The components that you have chosen will work well together. Note that you will need to get the RD hanger for the Vector P9 frame. Just go to MyBikeShop to enquire about that. As for the FD adaptor, you will need the LitePro FD adaptor, 41mm clamp size. You can then fit on a brazed on road FD. 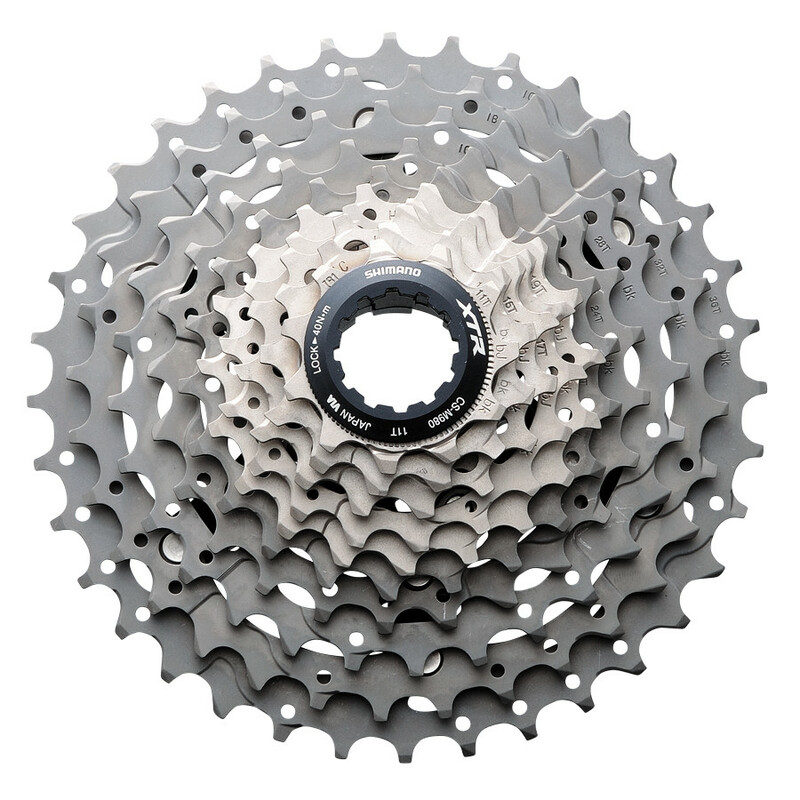 11-28 cassette will be fine for most people, it has a 28T sprocket for easy slope climbing. As for 10 speed chain, I strongly recommend the Dura-Ace 7901 chain. 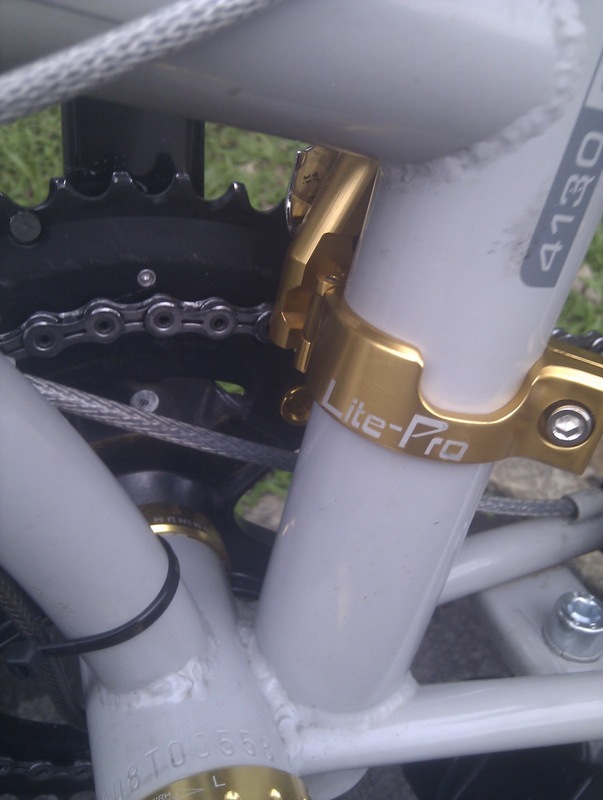 Although it is more expensive than Ultegra chain, it is worth the money. 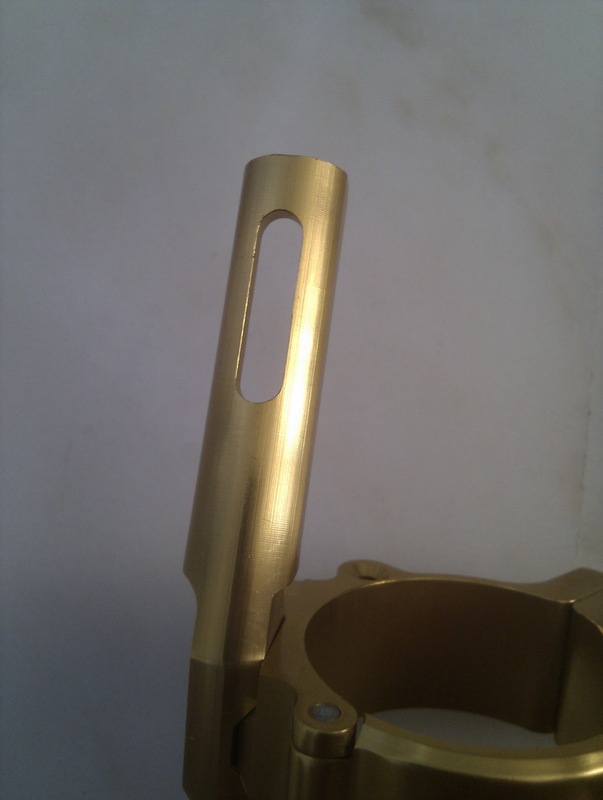 It is nickel plated on both the inner and outer links, thus it is very resistant to rusting. Don't forget to get a Hollowtech II BB for the crankset. I just wanted to ask, since you went ahead with the FD installation...would it be possible to run the bike with both an FD and a bashguard at the same time? If so, would there be any problems with the FD's distance to the large chainring? I see this setup on a number of old 1980s-era road bikes, but I was wondering if it would work fine on a folding bike as well. I'm interested in running a double crankset with FD, but would also like the option to install a 130mm-BCD bashguard in the future. 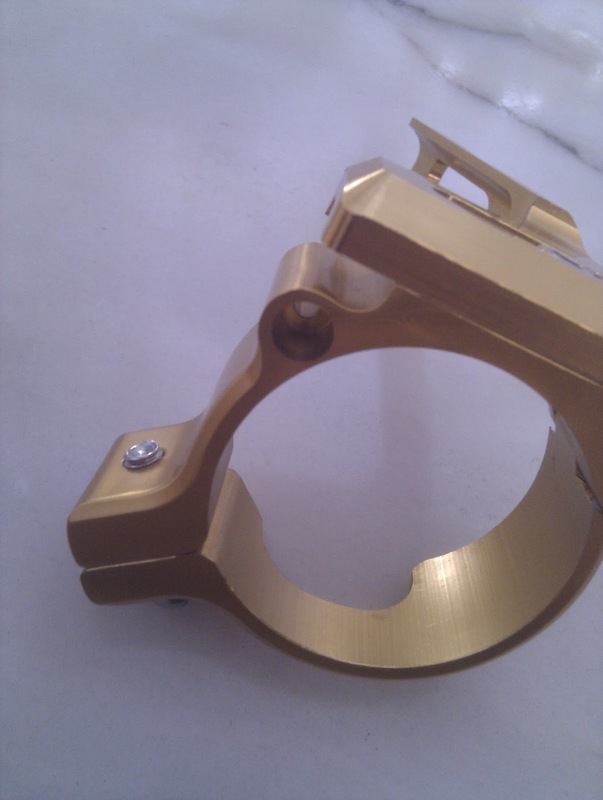 The purpose of the bash guard is to prevent the chain dropping off the chainring on the outside, and also prevent the leg from touching the chainring. The bashguard needs to be slightly larger than the chainring, while the FD needs to be close to the chainring to work well. These 2 are likely to interfere with each other. The FD will prevent chain drop so you don't need the bashguard. If you really want to install a bashguard to prevent the leg from touching the chainring, you can use a slightly smaller bashguard so that it won't interfere with the FD. Eg. A 52T bashguard on a 53T chainring. I can see there's a difference in FD adaptor design for the Speed and Mu frames. Why is that? Trying to figure out which one to use for Tern Link p9. Any comment on which one? Also, when you bought the FD adaptor from TaoBao, did you have a choice of adaptor diameter? I don't seem to see any seller offering different sizes. The difference is due to the shape of the seatstays on the different frames. The Mu frame has a curvy seatstay that restricts the amount of space available for the FD, thus a different design. The Tern Link P9 has a curvy seatstay, so you should get the Mu FD adaptor. The 40mm FD adaptor is only for Speed/Boardwalk frames that are made in steel. As for the Dahon Mu or Tern Link/Verge frames, they are made of aluminium and will need a clamp diameter of 41mm. As far as I know, Speed FD adaptors are only available in 40mm clamp size, and Mu FD adaptors are only available in 41mm clamp size. Another question, is the FD adaptor for Mu frame 41mm diameter? Info as given in the above comment. Mu frames have a 41mm seat tube diameter and thus need a 41mm Mu FD adaptor. I own a Dahon X10 and wanted to install a FD. I ordered a Litepro FD adaptor P-series from ETCycling and it arrived within a week. I measured an adaptor diameter of 40 mm but it fits nicely around the 41 mm X10 frame seat tube (with some pressure it snaps in place). The odd thing is that it has a FD mounting slot positioned 2 cm further back (compared to a K-series), see also second picture on this page. The problem is that this results in a 45 degrees cable pull from derailleur to cable mounting hole (on the adaptor). I tested this with FD Sram 22 and Shimano 105 & Ultegra. -Is it correct to use the P-series for an X10 frame? -Is there really a diameter difference between K and P-series adaptors? from the adaptor cable mounting hole (mu-frame would have the same problem)? -Should I just give it a try with a standard FD and hope for the best? Alternatively I would need to get the K-type and switch the FD mounting sticks (assuming that the diameters are different, otherwise I could just use a K-type for the X10 frame). 1) The reason that the P type FD adaptor is used for Mu frames is due to the presence of a cable stopper near the FD area. The 2cm offset is meant to avoid the cable stopper. Seems like the Vector X10 frame does not have that, so you might be able to use the K type FD adaptor. 2) There is a diameter difference for K type adaptors, as there is 40mm for steel K type frames (Boardwalk, Speed) and 41mm for alu K type frames (Vitesse). For P type FD adaptor, it only comes in 41mm as all P type frames are made of aluminium. 3) All Litepro type of FD adaptors have the FD cable stopper on the adaptor itself, which means that the cable routing might not be ideal as you described. That is unavoidable. What I suggest is using a plastic sleeve at the point where the inner cable rubs the FD adaptor. You can use the plastic tubing from the inside of the brake caliper noodle. Refer to the link below for the picture. You can see a transparent plastic tubing poking out from above the hole on the FD adaptor. 4) I suggest getting both K type and P type adaptor, and just use the one that fits best. Get 41mm for both. -Vertical distance outer plate of FD and largest chainwheel: >8 mm (according to manual this should be between 1 and 2 mm). I cannot install it anly closer because this would cause the chain to rub against the top side of the FD cage (at the large gear). Moving the FD forward would solve this so a K-type adapter would definately position the FD correctly above the chainwheels. -The derailleur inner cable cannot be routed through the FD adapter cable stopper because the cable is so far out of position that it bends around the derailleur before arriving at the derailleur cable mounting spot. It may however work in some way but I stopped testing because it didn't look good to start with. -Unfortunately, by definition, a K-type adapter has an internal diameter clamp of 40 mm to suit the metal frame diameter. So I cannot believe that Litepro is manufacturing a K-type adapter with an internal diamter of 41 mm. However 40 mm may fit my Vector frame because the P-type FD adapter seems to have an internal diamter of 40 mm also (measured this myself but there may be an error). -I can keep the original X9 rear derailleur but I should only use the 6 lowest gears in combination with the 44 in front (limit of chain tensioner). The front 44 chainwheel is only needed for the lower gears so there is no problem. -Should I try to take the FD mounting stem of a K-type adapter and dril new holes to make it fit to the P-type clamp? Seems that the best way is to get a k type FD adaptor to try out. K type FD adaptor comes in 40mm for steel frames and 41mm for aluminum frames. You need to measure the inner diameter of the FD adaptor when it is wrapped around the seat tube, not when the clamp is closed and off the bike. Seems that your chain is too long, such that you can't use front low rear top gear combinations? The X9 should have the capacity to allow the full range of gears with your setup. I won't suggest drilling the FD adaptor as it is not strong to begin with. There isn't much material left if you drill it. Just get a k type FD adaptor to try. I need 41 mm (frame measured), but my FD-P adapter snaps in place as if it was made for 40 mm. 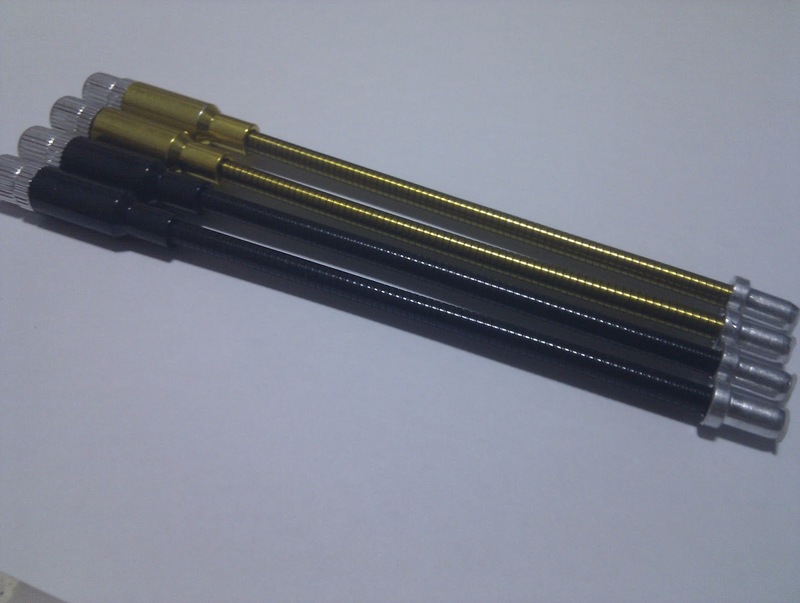 There is only one K type adapter sold by ETcycling and their description is: "Suitable models: The KA061 KAC072 KC073 SP8 KBC083 KAA083 KAA672 K frame bike". Are these aluminium or steel frames? I can always ask them. I did not find other internet stores to get these adapters from (I don't read Chinese unfortunately). You are right about chain length. I just left the chain at default length and I noticed that it could be shortened. For now however this would be fine (al longer chain wears slower ;-)). The FD K adapter stem may fit the the FD P clamp directly (without drilling) I noticed that both have two bolts and may be compatible. Another (minor) issue is that the Sram Force 22 chain catcher for the low gear (comes with the FD) cannot fit due to the 2 cm offset (too far back). 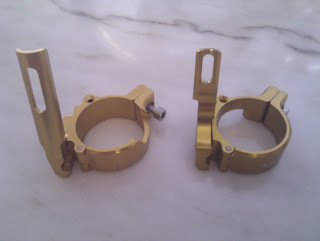 For the k Type FD adaptor, even if you want only the mounting arm, you need to get the whole set together with the clamp. In this case, instead of guessing what works, take both the P and K type, then mix and match them till it works. I am aware of that, but two clamps of 41 mm diamter would be be nicer because this would improve cable routing (as a separate cable stopper). Ah I can see what you mean. Yes it is a good idea to use 2 clamps to get a better stopper position. The K-type adapter is on its way so let me report back in a few days from now. If possible I can send some pictures you can post. 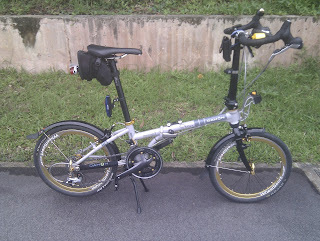 I think it is the first Dahon Vector X10 with this modification. Iteresting to note is that the Sram Force 22 front derailleur seems ideal for foldables. The reason is that this yaw technology provides more space between derailleur and chain (the derailleur rotates a few degrees sideways). This always is an issue with small wheel foldables that always have short chainstay lengths. It is therefore also better to use a front derailleur if it is combined with a wide cassette (larger than 7 speed). I installed a FD-K adapter but at first the FD could not go all the way to the left because the FD-K mounting arm is wider (than the FD-P stem). So I removed around 2 mm of the lower 1 cm of the arm (by sanding). The FD now fits at only one position on the arm (about middle of the arm hole). Therefore all adjustments needs to be done through the adapter (rotating and changing height). The cable guide on the adapter clamp is fine and the FD (Sram Force 22 with yaw technology is a step ahead of Shimano) perfectly positions above the front chainwheels. However shifting is impossible due to the missing chain guide bolts on the outer chainwheel (which was originally meant as a single front chainwheel). The shifting from 44teeth to 55 teeth is just too big. A test with a compact cranckset confirmed that is causing the problems. A 55 teeth is hard to find and therefore I shall mount a 53 FSA chainwheel (BCD 130 mm). The chain catcher is a very nice feature of the Sram Force 22 FD and protects the frame (paint). I must repeat that I am impressed with the FD yaw technology. The FD rotates while shifting so that there is never chain contact in any of the 20 gear combinations (although I will not use the extremes). It seems that I do not have to reposition the crank arm which means that it wasn't aligned by Dahon for single front chainwheel. Oh yes, the FD is controlled by an X7 2 speed shifter and works fine (so MTB and race can be mixed in this case). The Litepro K adapter seems to fit both 40 and 41 mm frames (according to the reseller). This explains why I also measured the P adapter at 40 mm but it also fits my 41 mm (snaps in place). The final thing bothering me is dirt accumulation filling the upward facing FD cable. So the next challenge will be the installation of SKS mini mudguards. The problem is that the U-brakes have too short arms. Great to know that you managed to make everything work! Sounds quite similar to my experience when I first tinkered with the FD adaptor. For good shifting performance it is best to get a complete crankset with the chainrings. The chainrings will have ramps and pins on the sides to aid shifting. To minimise dirt accumulating on the inner cable at the FD clamp area, you can try using one of these encaps with tongue. This has 2 advantages. Not only does it minimise dirt going into the outer casing, it prevents the inner cable from rubbing on the edge of the hole on the FD adaptor stopper. Just wanting to say that I followed your blog for a couple of months and have found inspiration to mod my eclipse p9. I pretty much copied what you did on the 20inch to the 24inch (as above). Waiting for parts to arrive, but the local bike shop says its doable. Fine tuning will be the issue. They were impressed with what you did, and will copy as is. Hi Steve can I use the litepro on my tern link d8. Hi Steve, seeking advice as I am currently upgrading my vigor p9 to a 20 speed using ultegra 6700 rd and fd with tiagra flatbar shifter. 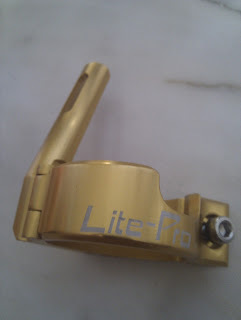 Bought wrong FD adaptor which is the B type litepro mean for birdy bike. I am now ordering a new p-adaptor. Question I have is that do I need a spacer for the right side of my hollowtech bb ? I am afraid that the FD when mounted cannot reached the outer chainring. I got a lbs to check..was told no space to mount a spacer. Do you face this prob ? The spacer on the bb is used to push out the crankset slightly, so that the chain will not rub on the inner plate of the FD during front low and rear low gear. However it will only be possible to put a spacer of Max thickness 1.5mm, else the left crank cannot be tightened properly. 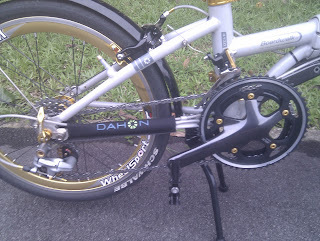 Hey steve, im pedro from brazil yand im here to say your blog inspired me to put a front derrailer on dahon eco c7. I feced everysingle problem you say in your article, but manage to fix everyting, including anoying rub in chain in lowest combinations. 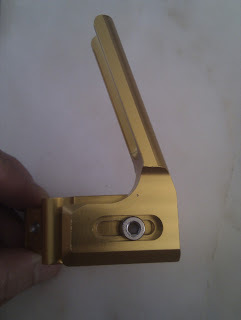 I put another botton bracket with a longer spindle, i used a sealed cartige squate tapper shimano 123mm UN-26K. Now there is no rub at all. looks bike this bike is made for it! I'm running on single Shimano 105 50T chainring (34T chainring was removed) and X9 RD short cage with 11-34T cassette. The problem is that I must install bashguard because sometimes chain drops when shifting to smallest sprocket. I know that I can install FD and run dual chainring setup. But if I use 34-50T in front I should use medium cage RD, right? How about I use 42-50T, can I still use the short RD that I have now? Thanks. 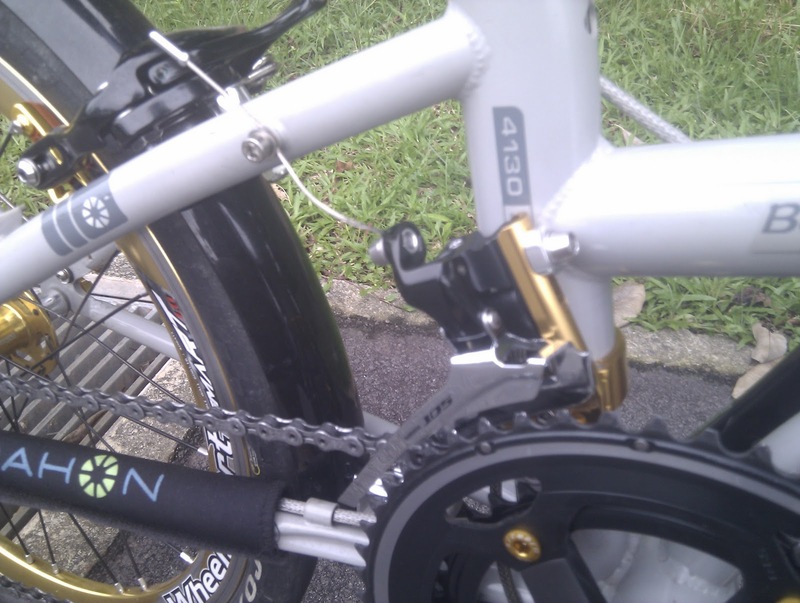 If you use 50/34T you will need mid cage RD to have sufficient chain capacity. If you use 50/42T, the required chain capacity is 31 which can be can be handled by the Sram X9 RD. I just read that Sram X9 Short Cage has capacity of 32. How about using cassette 11-36T, so chain capacity is 33, do you think it can still be handled by Sram X9 RD Short Cage? That's a nice looking bike. Not sure why you want such a big cassette on the folding bike, but it should be possible. Best not to exceed the chain capacity of the RD, but if you don't cross chain too much it should be fine. Ok, it only exceeds 1 capacity, I think it should be fine, too. Thanks Steve for prompt and fast response. Im planing to put a triple front crankset on my dahon speed d7. Im worried about botton bracket lengh, also thorusa advice to dont use 3 crankset on folders. Can you tell any advice? Thanks for promply response. Im about to give up and go for front doubles. I just have one question more. Tre chainline can be fixed better with square tapper or ocatalink botton brackets? i mean, as this BB and able to choose the spindle size better to fit chainline needs and have enogh clareance? If you use square taper or Octalink BB and crankset, you can push the chainline outwards more. However, the cross chaining issue is still there, which is likely to cause poor shifting and more frequent chain drops. Ultimately it is possible to use front triple, just that it won't work very well. Can I upgrade my java folding bike using this guide? Not sure if your java bike has a fd mount on the frame already. I don't think the Dahon fd adaptor will work on the java frame. I am not sure, because I am not familiar with the Java frame. You can give it a try. Hi Steve, do you think the FD adaptor will work on my Dahon Jetstream p8? No it will not work as the seat tube angle and position relative to the chain ring is different. Hi.. I need suggestion and recommendation. I have a Tern Link C8 which I'd like to upgrade from 8 speed to 10 speed. Can anyone help me list out the parts which i will need to purchase and measurement or any helpful details (and possibly where i can buy them? -- shipping to Brunei Darussalam). Many thanks in advanced. You can consider getting the components from Tiagra 4700 groupset. I appreciate your prompt reply. Sorry i want very clear of the details that i really wanted to ask. I'm thinking of changing the FD (double chainring on the front for uphill ride?) while having a 9 speed groupsets. .. I know for some it sounds ridiculous but i'm always having trouble riding a long stretch vertical upslope where i only need to sit on the saddle while pedaling. Thanks again. The Link C8 may not be compatible with FD due to frame design. Have to use older FD as the new ones are long arm which will interfere with the frame. You can try getting the Sora 3500 parts for 9 speed road. X-Sync SRAM 50 teeth crankset with GXP Bottom Bracket. I think the stock crankset and bb is the square taper type. Need square taper tool to remove the crankset and a bb tool to remove the bb. I suggest getting road Hollowtech II bb and crankset for better performance and lighter weight. Hi. Do you think it would it be possible to add a front derailleur on a Dahon Briza D7? From the pictures, it looks like there is no space to add a front derailleur adapter to the frame. Another way to get more gear range is to upgrade the rear wheel, and install a 10 or 11 speed wide range cassette on it.